Lyme disease has reached epidemic proportions around the world and treatment options are limited. John Coleman is one of Australia’s most experienced NDs when it comes to treating Lyme disease and is presenting a live, two-part clinical discussion in July. These two webinars will explore the concept of Lyme & co-infections from recognition & diagnosis, to treatment and recovery. Lyme disease is rarely seen on its own. The most typical presentations are multiple infections, so the emerging name for the Lyme-like infectious conditions is Multisystem Infectious Disease Syndrome. Recognising and addressing these co-infections is critical to reliable outcomes in these patients. John uses a wide variety of strategies with specific antimicrobial & detox herbal remedies in patient care. He also works closely with Lyme-literate and Lyme-aware doctors where antibiotic treatment is considered desirable. John will be sharing the latest research and his vast clinical experience to give you an understanding to be able to assist the growing number of people debilitated by Lyme and its co-infections. 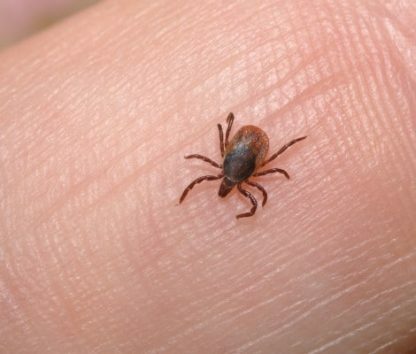 What is Lyme disease and its common co-infections? Is everything Lyme? Rumours, myths and legends! All health care practitioners seeing patients with possible multiple or stealth infections. John Coleman is one of Australia’s most experienced naturopaths in treating Lyme disease and co-infections, utilising a wide variety of strategies to improve health together with specific antimicrobial & detox herbal remedies. He works closely with Lyme-literate and Lyme-aware doctors where antibiotic treatment is considered desirable. By August 1995, John was wondering how he could go on living. Suffering symptoms of stage IV Parkinson’s disease and early stage Multi-system Atrophy, diagnosed by five medical and complementary practitioners, and severely dissatisfied with the treatment and prognosis he received from western medical practitioners, John decided to pursue other pathways to health and was completely symptom-free by April 1998. 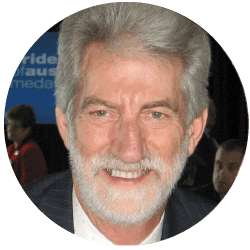 John was co-founder of Very Special Kids in 1984 and founder of the neuro recovery foundation in 2002, conducted sixteen Neuro Recovery Pathways programs in NSW and Melbourne, plus practitioner training around Australia, USA, Germany, Austria and UK. Since 2012, John’s practice has grown to include specialised treatment for Tick Borne Disorders. He conducts practitioner training seminars around Australia in CAM treatments for these infections. John has Naturopathic Clinics in Lancefield & Melbourne. His book, “Stop Parkin’ and Start Livin’ – Reversing The Symptoms of Parkinson’s disease” was published in 2005. “Shaky Past” (autobiography) was released in 2012. He presented two posters at the 1st Tick Borne Diseases Conference in 2013. John received a Tattersall’s Award for work with Very Special kids in 1985 and an ANPA award for Community Education in 2005. He was a finalist in the Pride of Australia Medal in 2007.